Here is an interesting fact: teens are using alcohol and drugs less than ever before. Researchers are not entirely certain of why this is, but they do have a theory. They believe that it could be the use of smartphones and other electronic devices. 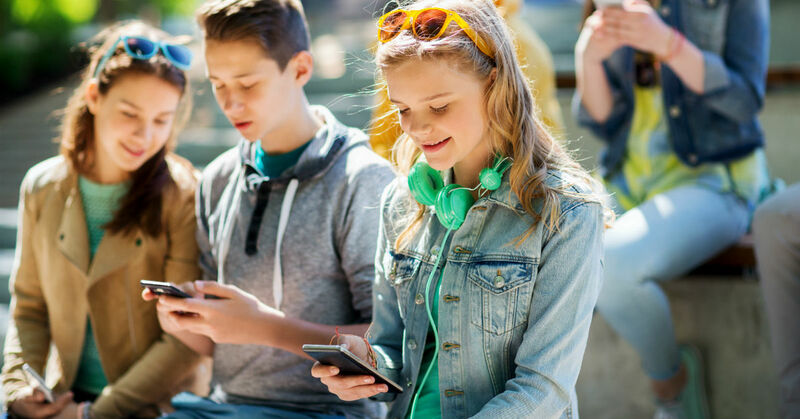 With easy access to stimulation, coupled with the threat of videos and images being posted on social media, teenagers seem to be happy with their phones instead. There is a downside to this trend. Teens are spending more time on their phones, which includes late into the night. Screen use at night may be having a serious impact on their overall physical and mental health. It is clear that, as parents, we have to help our teenagers moderate their electronic use. The most obvious way around this problem is to show our teens good habits. But we don’t do so well ourselves...admit it, you have spent more than one night laying in bed skimming Instagram or playing Candy Crush. The draw of a smartphone can be hard to fight, especially after a long and stressful day when you just want to let your brain veg. Put phones in another room at night. Set up a powerstrip of chargers in the kitchen and require all family member's devices be plugged in by a set time every night. It will lessen the temptation to look at the screen right before bed. Unplug every day for some family time. Have meals together and spend some time every evening as a family just talking or doing something fun. Maybe it is taking the dogs for a walk together, or hitting a bowling alley. It could be as simple as sitting down for a board game. It shows teens that they don’t need a phone to be entertained and provides excellent relationship-growing time. Have them install a blue light app. These filters are kind of a last resort. They automatically filter the screen light at night to make it easier on the eyes and to reduce the impact of blue light on the brain. Experts say that this can reduce headaches, give you more quality sleep and lessen eye strain. Talk to them! Teenagers are intelligent and have a vested interest in their own health. Let them know why smartphone use can be damaging if they don’t give it a rest from time to time.